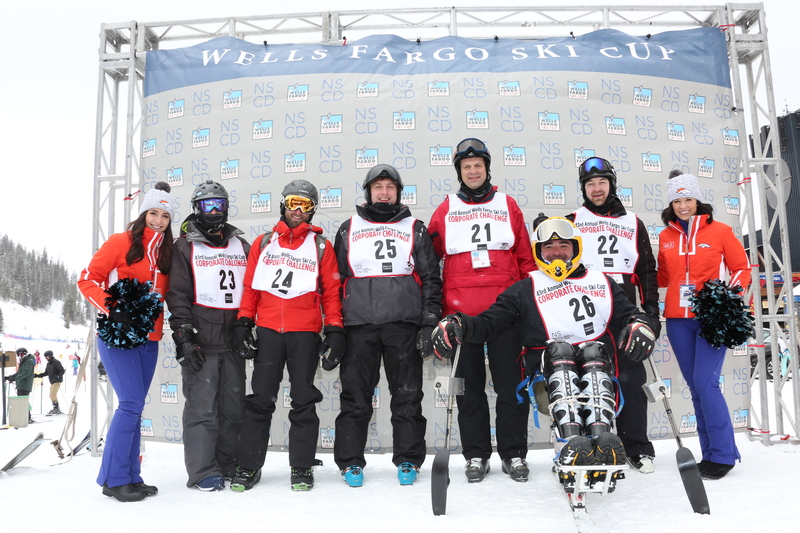 2019 commemorates the 44th consecutive year for the Wells Fargo Ski Cup! 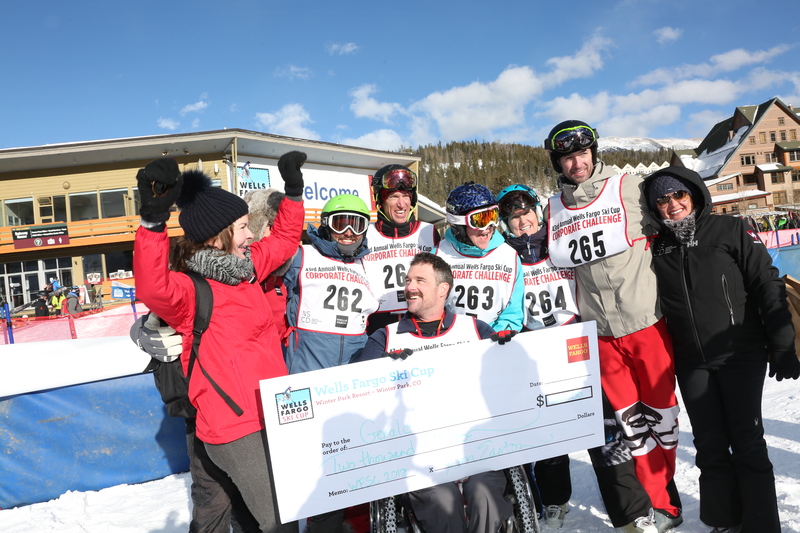 The Wells Fargo Ski Cup boasts the longest running professional ski race in the country and serves as a signature fundraiser for the National Sports Center for the Disabled (NSCD). Guests and racers arrive at Winter Park Resort. Corporate Challenge race teams take their qualifying runs. All racers MUST complete a qualifying run on Friday or Saturday morning of the event weekend. Racers are also encouraged to take advantage of our racer clinic with one of our NSCD Competition Center coaches. This is a great opportunity to get tips on racing technique. 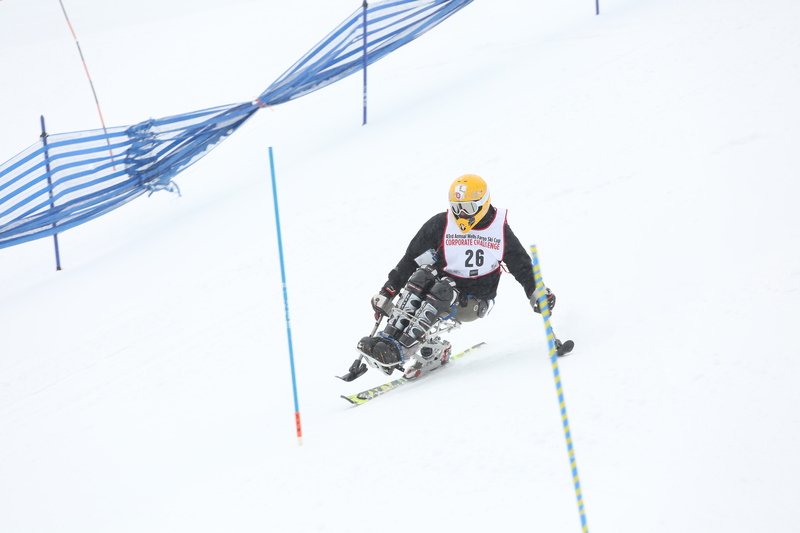 There is also a chance to experience hitting the slopes like one of our Competition Center athletes by demoing a sit ski. Friday night, Corporate Challenge teams come together for a racer dinner. 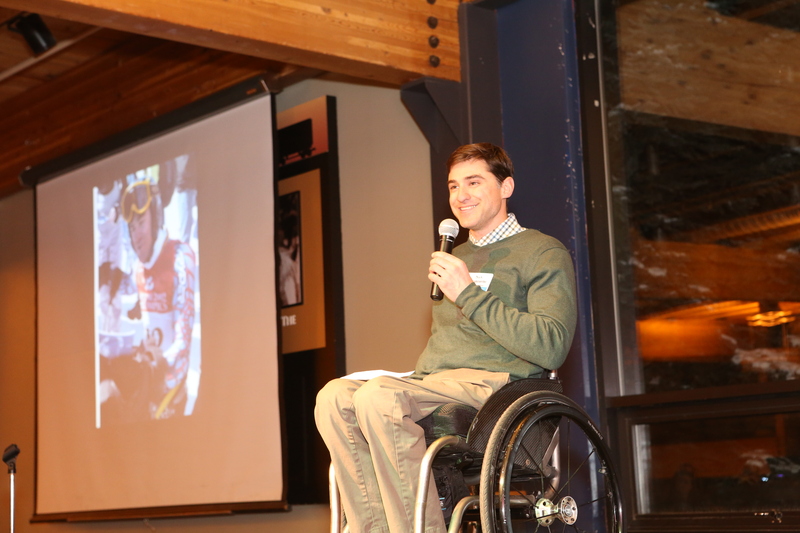 The Friday night dinner is an opportunity for all teams to mingle and meet with the NSCD athlete who will be on their team for the Corporate Challenge. The Corporate Challenge is the highlight of the event weekend. All teams are randomly grouped into heats. The top nine teams compete in the semi-finals and the top three teams move on to the finals. The NSCD Competition Center athlete on the top three teams win a cash prize to help them finance their training for the 2022 Paralympics. On Sunday the kids get in on the action! Kids of Wells Fargo Ski Cup guests, ages 5-12, race the same course as the professionals and are joined by mascots from Winter Park and Colorado sports teams in the Kids Snowplow Sprint. 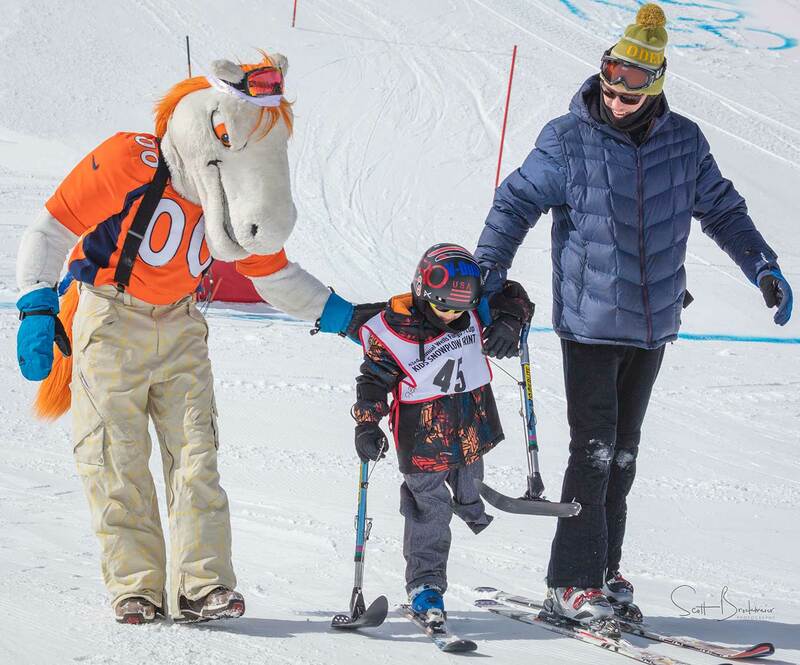 Capping off the weekend on Sunday is the World Disabled Invitational, where professional athletes from around the world compete for cash prizes in a race unlike any other. 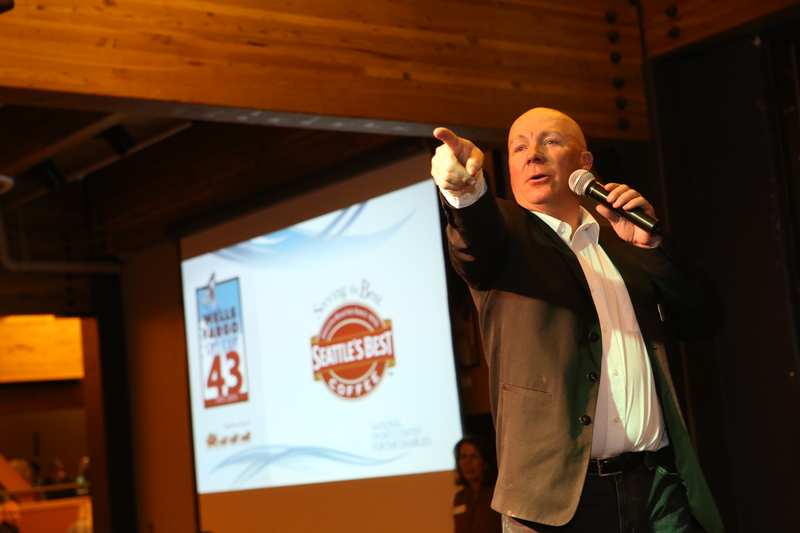 Other weekend events include a two-day silent auction, 50/50 raffle, Wells Fargo hospitality tent, ice sculptures and more. 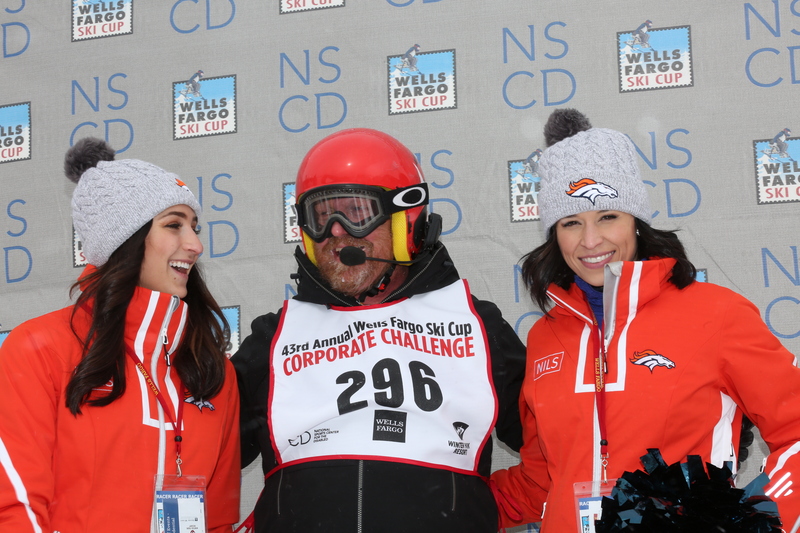 To reserve your Corporate Challenge Race Team today, or for additional sponsorship information please contact NSCD Special Events at 303-293-5311 or [email protected]. For all official photos from previous years, check out the NSCD’s SmugMug page, where you can download event photos for free.